Разстояние до летището 74,8 км. Имате въпрос към Emerald Hill Hotel? Идеален за развлечения и отдих, Emerald Hill Hotel се намира в Аниеуата, който е един от районите на Канди. Разположен само на 3.8 km от центъра на града и на 140 km от летището, този 3-звезден хотел привлича всяка година множество посетители . С удобното си местоположение хотелът предлага лесен достъп до всички градски забележителности, които задължително трябва да се видят. Възползвайте се от богатството на ненадминатите услуги и удобства в Канди. Хотелът осигурява 24-часов рум-сервиз, безплатен WiFi достъп във всички стаи, ежедневно почистване, 24-часова рецепция, експресно настаняване/напускане, за да гарантира комфорта на своите гости. Атмосферата на Emerald Hill Hotel се усеща във всяка стая. Удобства като телевизор с плосък екран, хавлии, гардеробна, достъп до интернет (безжичен), безжичен интернет достъп (безплатен) са само някои от даденостите на обекта. Независимо от това, дали сте фен на фитнеса или просто търсите начин да отпочинете след уморителен работен ден, в хотела ще намерите най-висококачествените съоръжения, такива като открит басейн, градина. Каквито и да са поводите за Вашето пътуване,Emerald Hill Hotel е най-доброто място за престой, което можете да изберете в Канди. Myself and my sister stayed in a twin room The views over the valley and over looking the river are beautiful The rooms need a good clean and the bathrooms need a good scrub Pool also was a little cloudy I don’t think they run the filter enough . If u are thinking of using the pool, please dont go here. It is dirty and looks unhealthy. Tv dis not work. Told them like 4 times. Different people came to see but nothing changed. Other than that it was ok. Nothing excellent but friendly staff. Good breakfast buffet. Only love station is omelette but overall acceptable. Rooms were clean with very few furniture. Clean bathrooms. Excellent breathtaking view. If i ever decide to come here it will be for the friendly staff and the view. Hotel location is good but road to reach to the hotel is scaring. I suggest hotel management to arrange a 'hub and spoke' service so guest can be picked up and droped at nearby town. I doubt if the hotel standard is of four star as everything is of basic. The bedsheets and towels were all tired. The manager first agreed to give us complimentary dinner but he changed his mind and charged us including the driver accommodation something that was disappointed. Otherwise we enjoyed our stay ànd a welcoming part of all the hotel staff. Don't hesitate to book this hotel, they go above and beyond. It far exceeded our expectations. The views of the valley are unbelievable, so make sure you get a room with the 'view'. Restaurant was very good, breakfast was very good. Staff are polite, helpful and professional. They are better than a 3 star hotel for sure. I think this place is much better, staff and management is helpful. Good hotel. However, distance wise it is not in the city. Also on the hill. Nearby no any other activities are found. Excellent location. Great rooms with a great view. Breakfast was very good. Staff was excellent. Everyone was very helpful. A bit away from the main city but definitely a superb stay. Really a great experience. Beautiful views from the breakfast area, pool and room balcony - if you're lucky to have one on the side facing the river. Room is spacious, clean, shower modern and large. And it really is just a short tuk-tuk ride from the town center - not a bad thing at all, in fact the little distance makes it a calm and serene place to relax. The only things that could use improvement: the wifi only works intermittently in the room (no problem in the lobby/restaurant area) also it would be great if the room had a safe. All in all I can highly recommend it! Hotel location was beautiful with the misty hills. A calm and quite place to relax. Food is superb. Has a lovely pool, but better make the closing time at 8.00 that can helps to see it nicely at night. We enjoyed well. Like to vist again. Beautiful view, great pool, delicious breakfast, kind and generous staff. Room is very clean, so is the bathroom. The atmosphere around the hotel is very tranquil. Our first night in Sri Lanka was spent at this little hotel on the hill...a totally unassuming enterprise, until you wake up in the morning and hear the birds outside, open the balcony doors and you are struck by an awesome view of the Mahawali river meandering down below, against the green lush backdrop of the opposing forest. On the river, slowly moving fishing boats and the peaceful lull of soulful lonely flute playing. The view is peaceful and restful for the soul. The rooms were clean and well equipped - bar fridge, kettle, toiletries, clean towels and clean warm bedding and a super large comfortable bed. Air-conditioning that worked and above all a large shower with hot water. 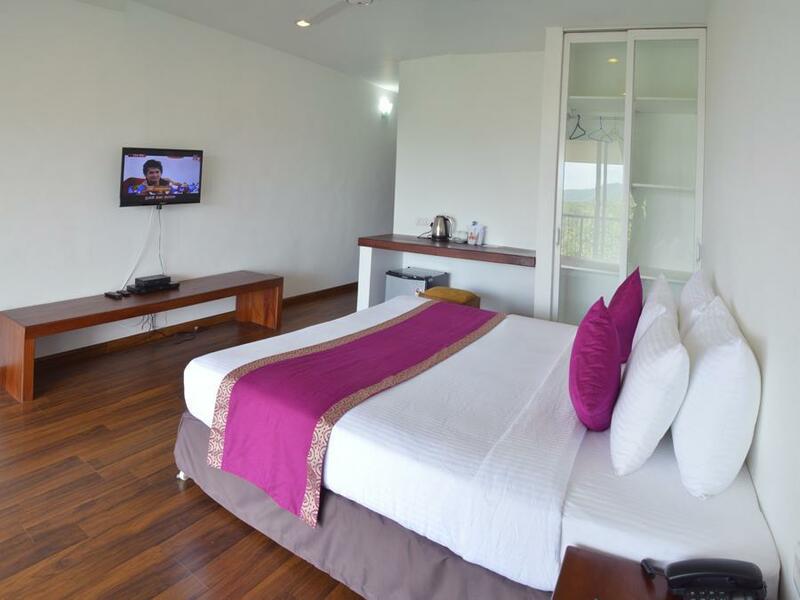 There are no decorations in the rooms but you definitely do not need it when you have an awesome view of the river! Staff were always available to assist and the front desk staff were pleasant and helpful. Special thanks to Dennis and his team for making our stay in Kandy such a pleasant and memorable one. 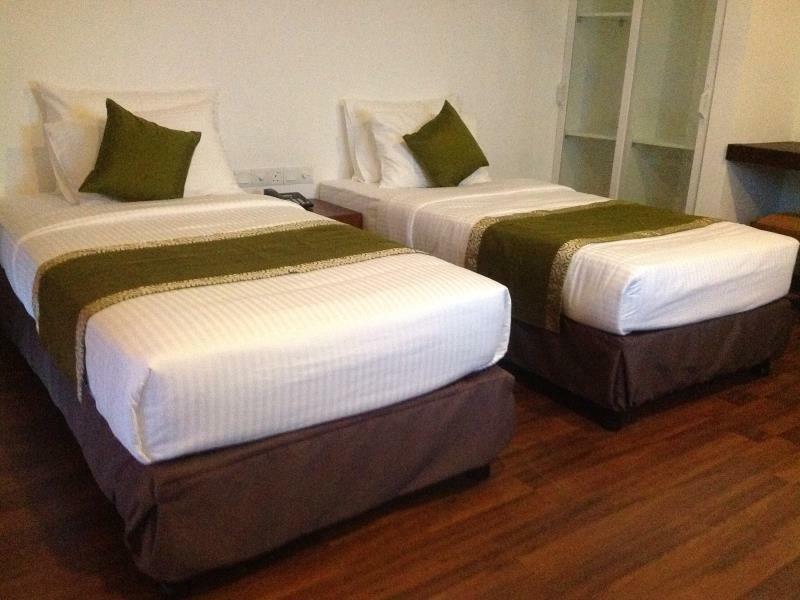 Hotel is well located to Kandy central and temples. They even kept our luggage for free over three nights while we toured to Pinnawala and Sigiriya. Breakfast was excellent and restaurant staff were always willing to explain the different local dishes on the menu. Do not expect Italian coffees or any other coffee other than proudly produced Sri Lankan coffees - the Sri Lankans are proud of their home brews! A friendly bunch and in true spirit of Sri Lankan hospitality they ensure you experience Sri Lanka in its truest form...Thank you Emerald Hill Hotel for making our stay so memorable and for accommodating all our wishes and requirements, we wish you all the best and wish your hotel grows from strength to strength. 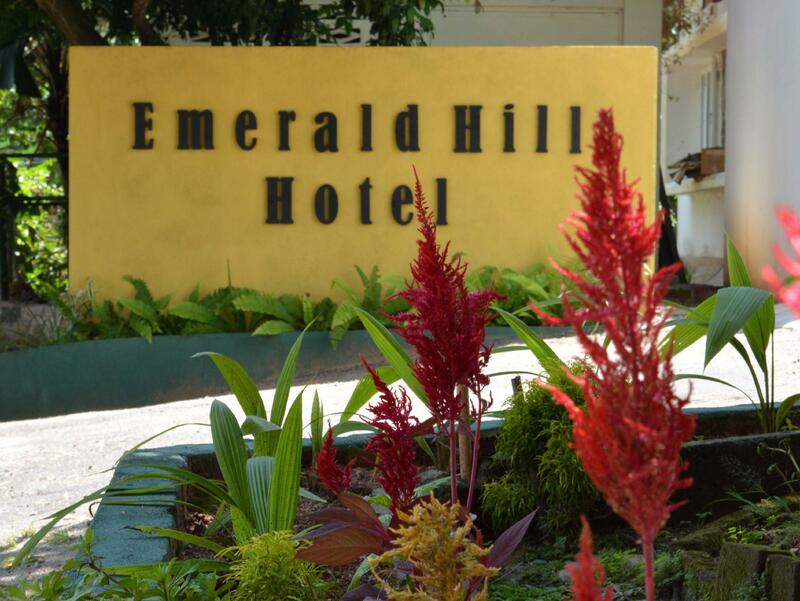 Highly recommend Emerald Hill Hotel for your stay in Kandy! From Proudly South Africa!